You can’t decide. 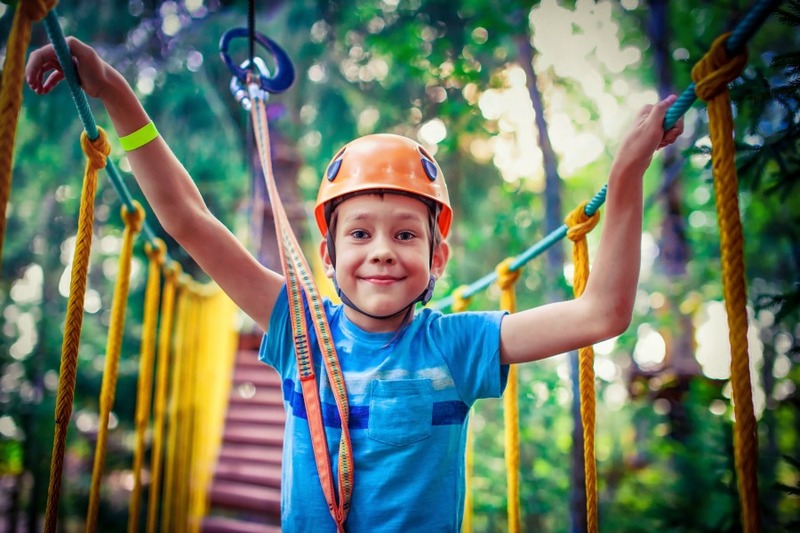 You’ve heard about all the benefits of summer camp for kids, but really, will it be that way for your child? Here’s why you NEED to send your daughter or son to overnight camp. I get it. Having your child sleep 50-100 miles away from home scares the crap out of you. Your kids will be OK. In fact, they will be better be OK. They will return to you happier, with new friends, new skills and probably a little tired. Summer sleepaway camp will improve your child’s mood and confidence. 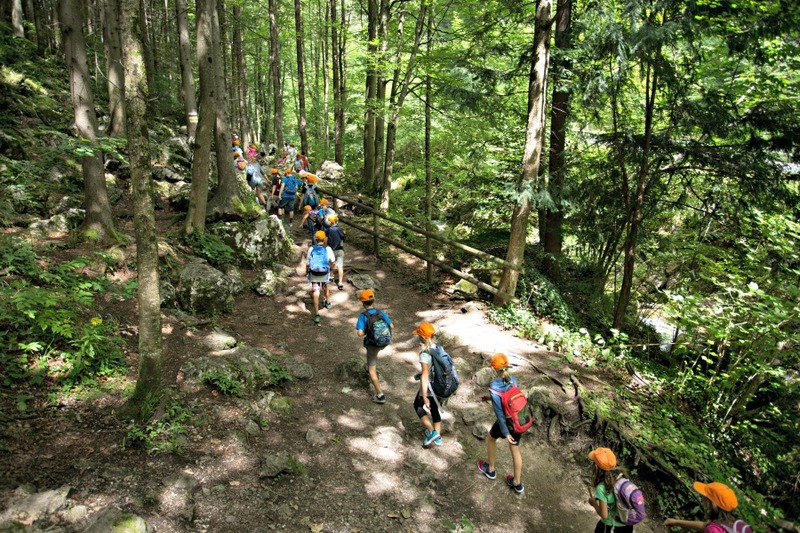 According to a survey given by the American Camping Association, 70% of parents reported that their child gained self-confidence while away at camp. Being away from family gives kids the opportunity to solve problems on their own. And there will be problems. They will get in fights with friends, wet the bed, fall down, make horrible choices…all of the above. But they will solve all of these problems on their own. They will receive coaching from camp staff, but overall your child will learn to rely on herself. …which is a life skill that will serve her well into the future. What’s even cooler is that 96% of the campers said that camp “helped me feel good about myself”. And this isn’t the blind praise we parents criticize that pumps up our kids without them doing any actual work. The best summer camps are not all fun. Rather, they mix responsibility with adventure açtivities. This past weekend, I took my girl scout troop to camp for the weekend – two nights crammed together in a large bunkhouse. We hiked, we shot arrows, we learned how to tie knots. All fun stuff. Also…. the girls cleaned the entire cabin, top to bottom – they vacuumed, cleaned toilets, wiped down mirrors, mopped the floors. They cleared the dishes and wiped down the table after every meal. The troop also worked together to clean out and organize a camp supply closet. All these tasks that they fight you about doing at home, they do at camp. And guess what? That responsibility travels back home with them. Being at camp was one of the best experiences of my life. I looked forward to it every year. In fact, I loved it so much that I served as a camp çounselor for my last two summers of high school and my freshman year of college. Why? Because at camp, you get true community. That feeling of being surrounded by people who are your same age and share your same values is unmatched. Schools try, don’t get me wrong. But as a former teacher, I can tell you that at school there exist so many distractions: kids competing with one another on grades, home life affecting kid’s attitudes, and the pressure to succeed. Camp removes all of that and simply focuses on having fun, challenging yourself and forming close relationships. Can you not pull your child away from her tablet? Most camps have zero electronics policies. No cell phone, tablet or iPod. Just friends, your own imagination and the great outdoors. From my experience, kids don’t even miss the absence of their device. They quickly find other ways to have fun. For instance, it’s pretty typical for my daughter to bring her tablet to dance. When I pick her up, I see her and two other girls crowded around a tiny screen watching the newest JoJo Siwa video on YouTube. At camp, my daughter taught her troop of 11 girls a theatre game. Other girls joined in and instead of this little exclusive group of three doing a sedentary activity, I saw a group of 20 girls singing, dancing and motioning for other girls – who they didn’t even know! – to join in. Removing the electronics not only made them more physically active – with no complaints I might add – but it also helped them make new friends. Going to camp lets kids change who they are. Why? Well, kids who go to sleepaway camps frequently go alone. No friends accompany who know how they’ve acted in the past. Instead, they get complete freedom to completely reinvent themselves. Even if they go with people they know, the activities they do at camp are so completely different than home that they have a chance to prove what they can do. This past weekend, I saw my girls hold bows that were over half their height, pull back the cord and let their arrows fly. Many of our kids live sheltered lives. They aren’t exposed to many people different from themselves. As a result, they may see people with differences as scary, crazy or weird. When really, differences aren’t any of these things. Camp not only creates a community of people with differing abilities, but it also allows our kids to live and sleep in close proximity to those people. And in this proximity, they make friends. For instance, last year at camp, my daughter appeared before me crying. She explained that another girl had walked up to her and yanked one of her pigtail braids. I felt a slight mama bear “how dare you hurt my child!” moment, but then I realized, wait… this doesn’t make sense. She led me to the other girl and then I realized- this other child had Down syndrome. Down syndrome was completely new to her. Therefore, she had no understanding about the need to be patient, respectful and understanding. It tested me as a parent as well. How to explain a difference like this to my eight-year-old child? We found the leader of the other girl and she helped. But this is what happens at sleepaway camp. Not only does it expose kids to new experiences, but also new people. And let me comfort you by saying that summer camp staff are trained to coach kids through conflict resolution and being inclusive. The benefits of summer camp for kids clearly outweigh the fears we have as parents. Yes, I get the fear. Now is the time to push past it and see how awesome sleepaway camp for your child can be.